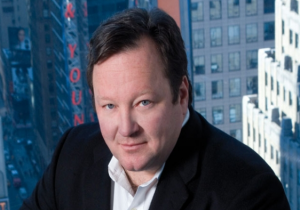 Viacom has revealed plans to launch a direct-to-consumer streaming service later this year. Speaking at the Morgan Stanley Technology, Media and Telecom Conference in San Francisco, Viacom president and CEO Bob Bakish said that the new service would draw from more than 10,000 hours of library content. “We’re going to implement [the service] on a direct-to-consumer basis in a differentiated way that we believe leverages not only our library assets, but also our ad sales capabilities and is complementary to what we’re doing in the MVPD space,” said Bakish (pictured). The comments came after Bakish was asked about the opportunities in the over-the-top and direct-to-consumer space versus the risk of jeopardising legacy earnings. He said that Viacom, particularly in the US, had started to step back from licensing its products to third party SVOD providers around two years ago – initially to “right-side” its relationships with operators in the US, but also to set up for “something we can exploit ourselves”. Bakish also described mobile as a “really exciting” longer-term proposition and an “incremental category”. Earlier this month Viacom struck a mobile streaming deal with Telefonica-owned Movistar Play to launch a range of TV channels and content in Latin America. Bakish said that the company is now in a “very interesting conversation” in the US about bringing its brands to mobile, which he said he believed would happen in fiscal 2018. “If think about all the time spent on mobile and all the devices out there, I think you quickly realise what a powerful growth engine that will be for our business,” he said. In the US, the rise of virtual multichannel video programming distributors (VMVPDs), or over-the-top pay TV providers, were described by Bakish as a significant trend. He said Viacom was on the “two most important platforms” of this kind in the US, DirecTV Now and Dish Network-owned Sling TV, and said “they’re definitely driving growth”.